All of us are shaken by the blast last night in our downtown. We thank the firefighters and responders for putting their lives on the line and their shoulder to the wheel today. When they’re finished, a sustained effort will be needed to help the businesses and neighbors affected, to reassure us that we’re safe from explosions in the future, and to rebuild downtown Greenwood with the strength and character that’s been lost. If you want to help, read on. Here are two places you can turn right away. 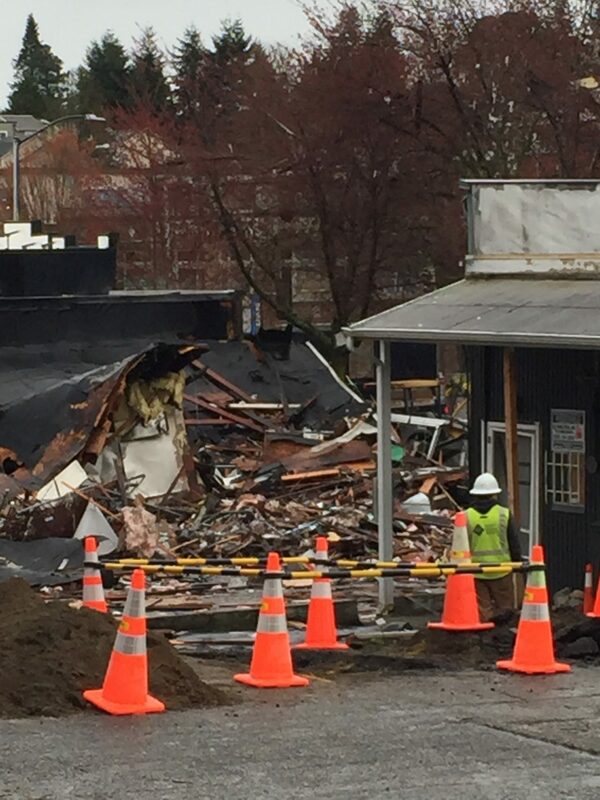 Tomorrow night you can help raise relief funds for businesses hurt by the blast at Naked City, and the Phinney Neighborhood Center has stepped up to pull together a website with a list of opportunities to donate or help. Please take a look. Thanks also to PhinneyWood for keeping us informed when it matters most. The Greenwood Community Council will also try to pull a meeting together next week on Tuesday as usual, and we will work to bring city officials to answer your questions about what happened, how we can keep it from happening again, and what resources will be brought to bear to help rebuild and restore what’s been lost. Please stay tuned for more. Greenwood is resilient. Greenwood is strong. Our neighborhood has fought its way through adversity before, and we will do so again. Together, we are a phoenix. Naked City and Taproot Theatre are teaming up to raise as much money as possible in a single day for those affected by the explosion in Greenwood. 100 percent of proceeds from every pint of Greenwood Phoenix Golden Ale sold at Naked City on Thursday, March 10th, open to close, will go directly to the PNA (Phinney Neighborhood Association) tax deductible support fund. Additional donations are encouraged!! Please help us help our friends and neighbors. Greenwood will rise up from this as we always do! 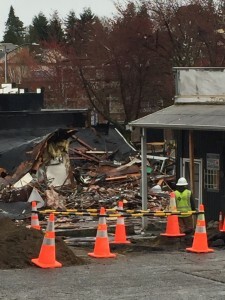 The Phinney Neighborhood Association has set up this community page, which they are updating to include opportunities to donate or volunteer to help the community and affected businesses recover from the blast.